This new revised and expanded 7th edition provides 350 new photos along with an additional 16 pages. 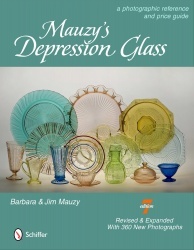 The very comprehensive book has regular Depression patterns plus Fire King and favorites from the later years of the 1940s, 1950s and 1960s.To the pattern listings, there are 220 more items. New patterns to the book include Fire King Fish Scale, Shell Pink and Spiral Optic from Indiana. While most of the patterns are American made, there also are some patterns that were made in Canada. Some of the most popular patterns are Adam, Cherry Blossom, Iris, Philbe, Princess, Royal Ruby, Sharon and Waterford. Some unusual patterns include Crown, Hiawatha, La Furiste and Romanesque. It was wonderful to see some old advertising and pattern sketches. Since we collect glass labels it was interesting to see some vintage ones still on the glassware. This book provides a very detailed listing of 169 patterns that are listed in alphabetical order. Under each pattern heading, there is a back ground of the pattern, dates produced, manufacturer, whether it was reproduced, pieces made, sizes and a value. Each pattern has a variety of shapes and different colors photographed. 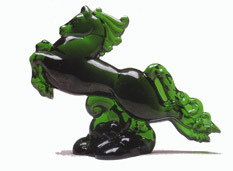 The captions provide information about the pieces pictured along with a credit of the person the glass belongs to. There is a complete alphabetical list of all the items made with a break down of values for each color when there were different colors made. 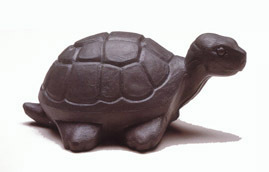 After the values, there is a description of any items that were reproduced in that particular pattern. This is very important to know when collecting a pattern. The Mauzy’s have done a great job in making a book very easy to use. All of the information is convenient with values given in the same location as the item listings. Unfortunately, the values, in our opinion, do not reflect the current depressed market conditions. After talking with other dealers and mall owners, many patterns will only sell at a reduced price from the one listed. The index provides the page numbers for all the patterns. A comprehensive bibliography with books and web sites shows all the many resources that were used for their information. The 8 ½” x 11” hardback book has 288 pages with over 1300 color photos. Inside the back cover is a measuring guide when you are out and about looking and don’t have a tape measure. The book retails for $34.99 and is the only book on the market to feature all these Depression era patterns.